We hired HALO for a fairly extensive home remodel and were thoroughly impressed. We worked directly with Rand. My husband and I were very pleased with the communication, patience and kindness shown as we made decorative and financial decisions. Rand caught imperfections from tradesmen before we did and remedied them immediately. At times, it was difficult for us to express our vision and Rand was incredible with making sure he clearly understood what we wanted. For those who have not remodeled or built before, I recommend a few things. First, be sure you hire someone you fully trust. 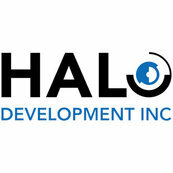 It made a world of a difference knowing I could trust HALO not only with the quality of work, but with finances, time frame, etc. Second, be as flexible as possible time wise. There may be times when your contractor can only get tradesmen in so fast. Rand knew we were anxious and worked hard to get tradesmen here quickly in order to expedite the process as much as possible. Third, be aware of cost. Finances can add a huge strain to the construction process. As you get your bids, be as specific as possible. If you want upgraded baseboards, windows, etc, be sure that is stated. Be fully aware of cost additions as you change your mind during construction. For example, if you change the location of a light switch, it may change the cost. Be aware that as the construction process develops, so do the finances. Remember the extras that are not typically included in a contractor's bid such as light fixtures, sink, etc. Extras often become the culprit in construction. We spent an additional large chunk of money on the side for appliances, light fixtures, etc. That money needs to be budgeted separately than the construction cost. Rand helped us watch our finances and explained cost as we went. Bottom line...hire someone you trust that will help you walk through the process. Once you hire the right company for you, construction can be REALLY fun!! We absolutely loved seeing it all come together and will be contacting HALO soon for our next project!